A large chunk of Elliot Berkman’s research focuses on motivation. And his efforts have caught the attention of the Association for Psychological Science. Berkman, who joined the UO in 2010 shortly after earning a doctoral degree from the University of California, Los Angeles is one of six psychologists who will receive 2018 APS Janet Taylor Spence Awards for Transformative Early Career Contributions at the association’s annual meeting, May 24-27, in San Francisco. 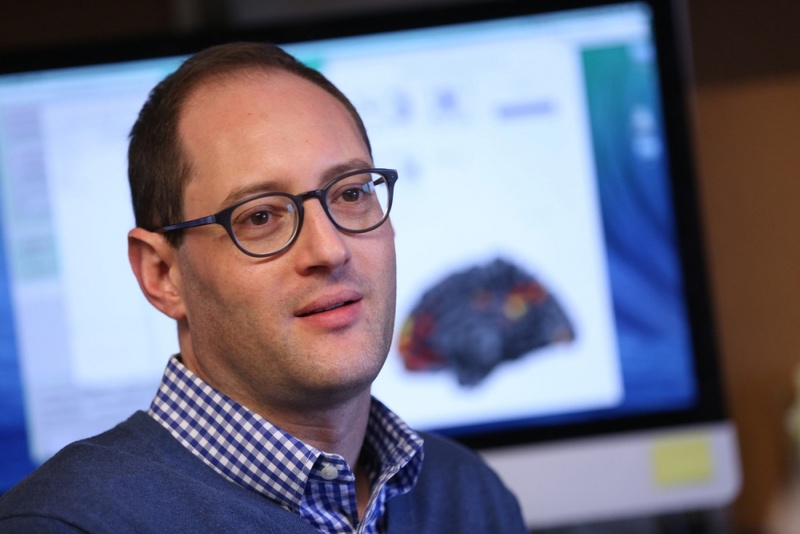 "It feels good to know that research at the interface of neuroscience and psychology, which has long been a strong area at the UO, is appreciated by the wider field," Berkman said. "I hope the award will draw attention to the ways that this kind of translational neuroscience can generate insights into risk and resilience that ultimately improve health and well-being." Increasing motivation, Berkman said, is key to helping people succeed in changing their behaviors. Work in his Social & Affective Neuroscience Laboratory currently addresses how motivation can be targeted to meet mental and physical health challenges such as dietary change and positive parenting. The association’s Janet Taylor Spence Awards for Transformative Early Career Contributions recognize cutting-edge research in such things as the development of decision-making skills to mathematical models of happiness and how people rationalize disturbing realities. The award, named for the organization’s first elected president, honors the most creative and promising researchers who embody the future of psychological science. This year’s six award winners come from four U.S. institutions, Canada and the United Kingdom.